I am a professional orchestral musician. I play with the Canadian Opera Company orchestra. It took many years of experiences, failures, auditions, and adventures to get here. I once flew 2,000 miles for an audition, only to sneeze backstage while eating a pecan. I had to play my audition with pecan stuck in my nose. (Did not get that gig.) Did the same thing with a carrot a few years later before a performance of Mahler #5 with a major symphony orchestra. I studied Performance at McGill University (Licentiate Music Diploma, High Distinction in Bassoon) and at The Juilliard School (Advanced Certificate Diploma and Professional Studies). They taught me some marvelous things, but none of it helped me to play auditions with root vegetables or tree nuts accidentally lodged in my nose. For that, I completed certificates in Psychology from Ryerson University and Advanced Counselling Skills from George Brown College in Toronto. 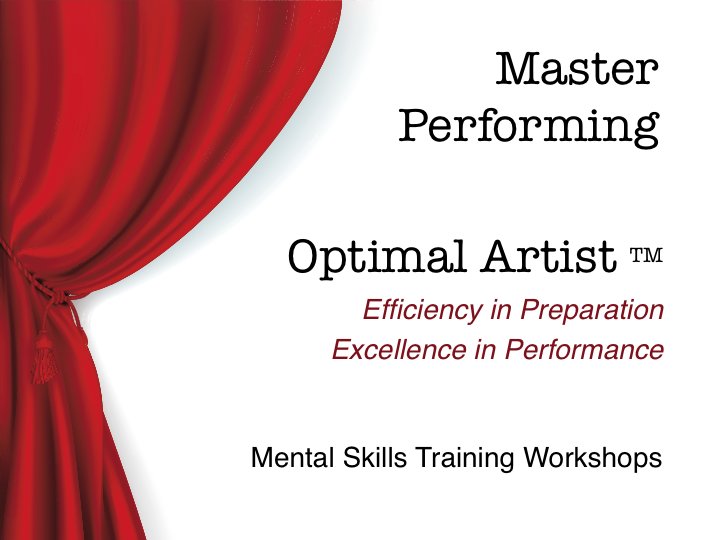 Bringing a performing artist’s perspective to the practitioner’s side of the fence, I specialize in training others in optimal preparation and the prevention and management of performance anxiety. I teach preparation techniques and mental skills to other artists; they bring their best selves to the stage. It’s not all about shoes and noses, either. Sometimes you get really bad news and you still have to play a concert. Ask me how I know. Sometimes you are sick or in pain and you still have to take an audition. Ask me that, too. Sometimes you just feel unworthy or inexplicably nervous and you have to muster up a top-notch performance. Ask. I’ve played with some fine orchestras across Canada, the USA, and the UK. I’ve been short-listed for permanent principal positions –and and thus played significant performances– with London’s Orchestra of The Royal Opera House at Covent Garden, London’s Royal Philharmonic Orchestra, and the Houston Symphony Orchestra. In Canada, I was short-listed for a permanent position with the Toronto Symphony Orchestra, and enjoyed several years of regular performances with them. (In case you’re curious, that’s where the Carrot Incident happened.) I’ve been a full-time member of the Victoria Symphony Orchestra, and also the Winnipeg Symphony Orchestra. Theatre freelancing has included the Stratford Festival, Shaw Festival, Royal Winnipeg Ballet, Paul Taylor Dance Company, and I’ve been a regular fixture in the orchestra pits of the Canadian Opera Company and upstate New York’s Glimmerglass Opera Company. The most luxurious gig in recent memory has been a stint with the Hawaii Symphony Orchestra. I have been through the trials and tribulations of auditions, performances, and competitions. With my audition and performing experience, plus an education in psychology and counselling, I understand what it takes.